Amazing photos! and so inspirational your blog, love it! Thanks a lot for share it! The colors! Peach and a background of shades of blue and green... I'm totally enamored. Nea looks magnificent, as always! Lovely peach color middle of frosty winter. Enjoying a lot my afternoon tea in here. LOVE. And the candles in the background too. You do "dark" so well! 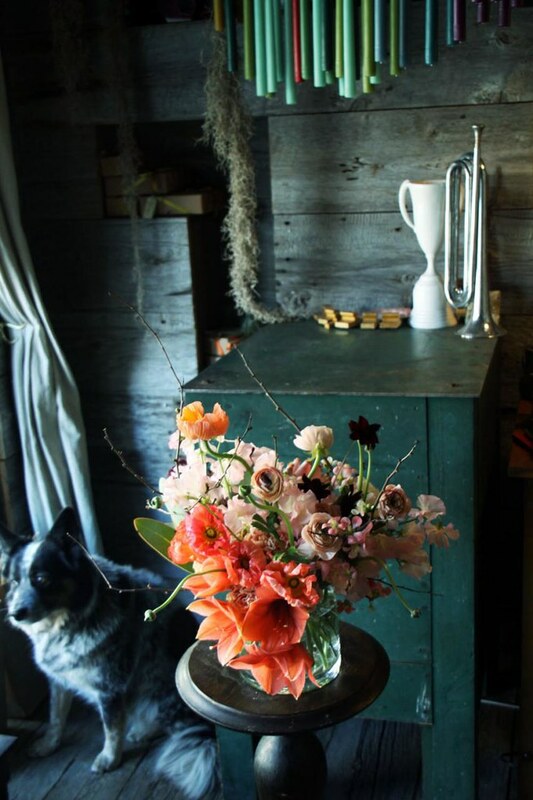 What a beautiful contrast between the apricot flowers and the teal cabinet/candles.